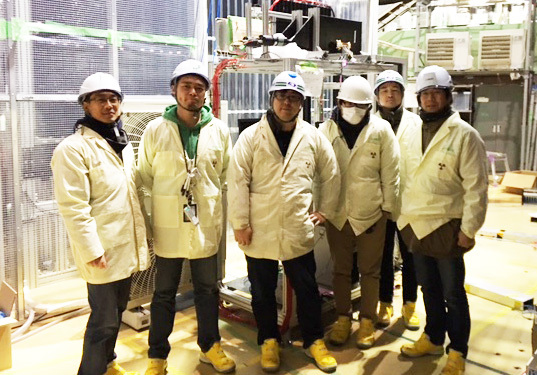 At the J-PARC research facility in Tokai village, Ibaraki prefecture, extraction tests of a clean 8GeV pulsed proton beam to the Hadron Experimental Facility have been successfully completed by a team drawn from the Accelerator Laboratory Group, Hadron Beam Line Group and the COherent Muon to Electron Transition (COMET) Experimental Group. 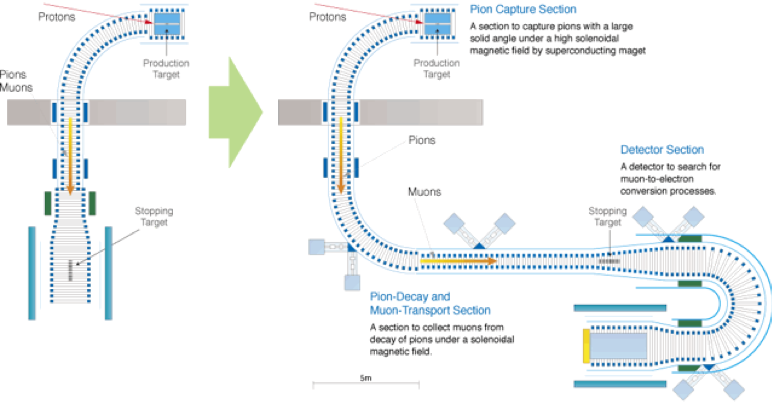 The COMET Experiment aims to find new physics beyond the Standard Model (SM) by searching for the coherent neutrinoless conversion of a muon (μ-) to an electron (e-) in muonic atoms (called “μ-e conversion”). This requires an extremely clean pulsed beam, and development of this beam plays a key role in the pursuit of the highest level of sensitivity. This successful extraction test is the clearing of a major milestone for the forthcoming experiment. More than 200 researchers from 10 countries, including Japan (KEK, Osaka Univ., Kyushu Univ. and others), the United Kingdom, China, and Russia are involved in the COMET Experiment based at J-PARC. 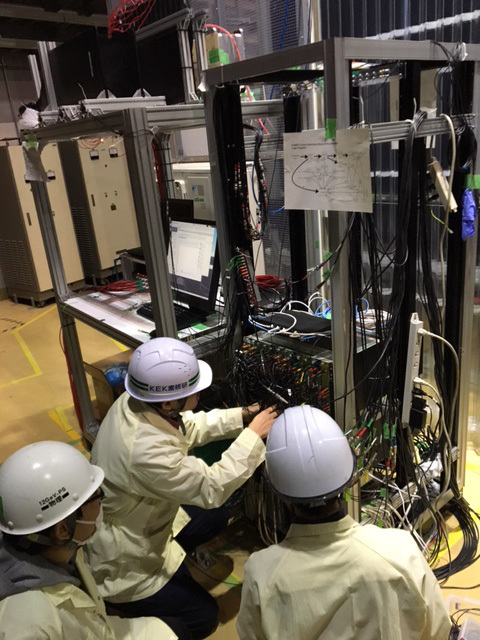 They are working together on the design and construction of the experiment with a goal of achieving a sensitivity below 10-17, the highest in the world. 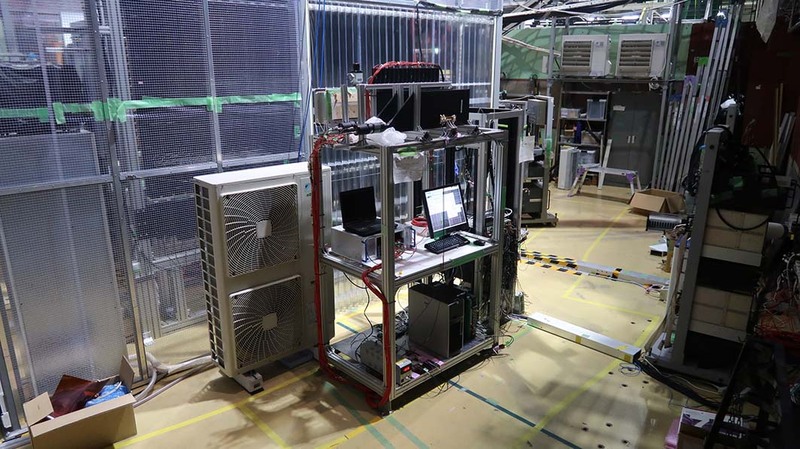 In the COMET experiment, the 8GeV pulsed proton beam will be extracted from the J-PARC Main Ring (MR) and guided through a new beamline in the Hadron Experimental Hall to a new target, where they will produce π-mesons. The required μ− are naturally produced by the decay of the π-mesons, and are stopped in another target (aluminum; Al), creating muonic Al atoms. When the μ-e conversion occurs, the muonic Al atom emits a single e−. To detect these e−, without all the other particles produced by the protons, the COMET experiment requires a customized MR operation mode. The goal of the extraction tests was to confirm the beam quality under the customized MR operation mode. The J-PARC MR usually accelerates the proton beam (at one bunch per 600ns) up to 30GeV. But in the test, the MR instead accelerates the proton beam (at one bunch per 1.2μs) up to 8GeV. The number of protons ‘leaking’ between proton bunches must be less than one for every 1010 protons in the bunch. Extraction tests in the customized mode were conducted for four days each in January and February and resulted in many successes. Dr. Hajime Nishiguchi, Associate Professor at IPNS/KEK and a member of the COMET group said, “Extraction efficiency of the pulsed proton beam was over 97% in February; beam with one bunch per 1.2μs was established; and leakage protons between bunches was reduced below the objective of 10−10 of the number of protons in a bunch. We had a great success, because three objectives of the test are all achieved”. The COMET Group is planning to establish the beam line and assemble the new detectors in preparation for the Phase I experiment, which is due to start after FY2019. Phase-II carry out a search for μ-e conversion with a single-event sensitivity of 3.1×10−15, a factor of 100 better than achieved by SINDRUM-2. In “COMET Phase-II”, the COMET Group will extend the solenoid beam line to a bend of 180°, the final experimental configuration. 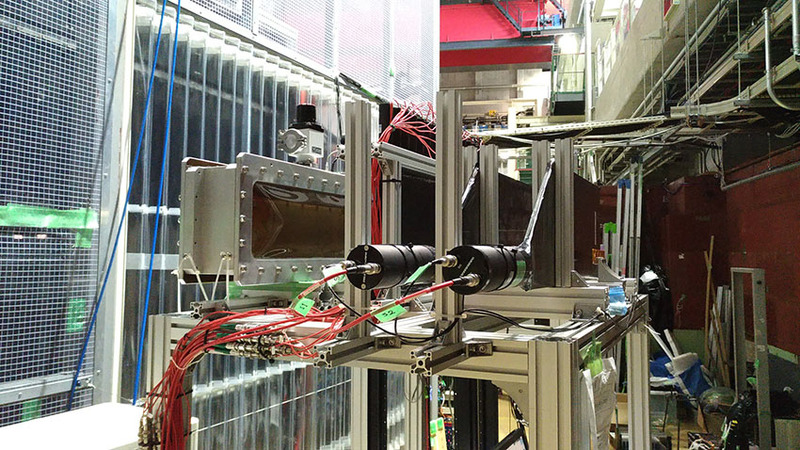 Then the group intends to conduct the full-scale experiment, to detect μ-e conversion to below 10−17, making it the most sensitive such experiment in the world.